After understanding the science, aerodynamic design, enduring the endless hours of training and visits to the ER. After watching fellow drivers crash time and again (and taking a few spills yourself), at the end of the day… It’s guts that makes this sport thrive. It’s guts that gets you back on the bike. It’s the fearlessness that sets apart the winner from the 2nd place. Maybe you call it stupidity as you watch the drivers take turns at 130 mph and their knees scraping the pavement, but it’s that nerve that intrigues the millions of viewers every year. 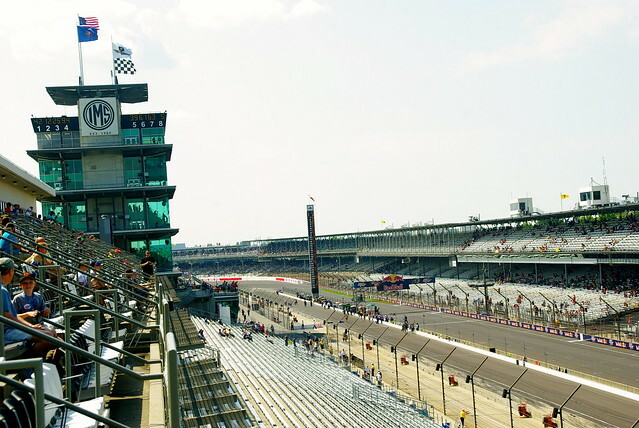 Josh and I decided to go and see this bold sport firsthand at the 2013 Red Bull Indianapolis GP at the Indianapolis Motor Speedway. I’m writing this not as an avid Moto GP follower, but as a newbie. 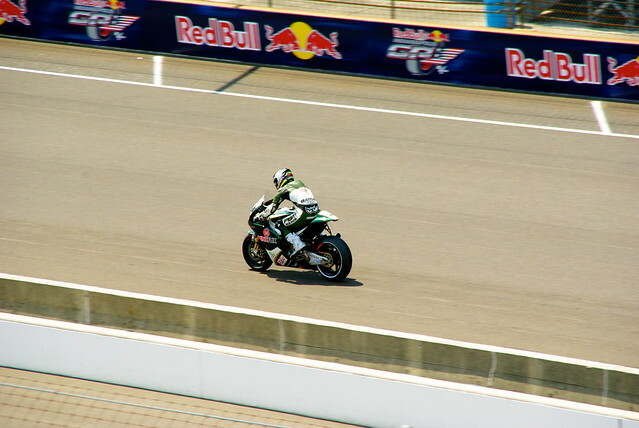 Someone who doesn’t know any of the rules or regulations and is actually pretty scared of motorcycles, but after a few hours of watching the sport and seeing the courage and determination, found myself intrigued. The more I learned about the sport, the more questions I asked. 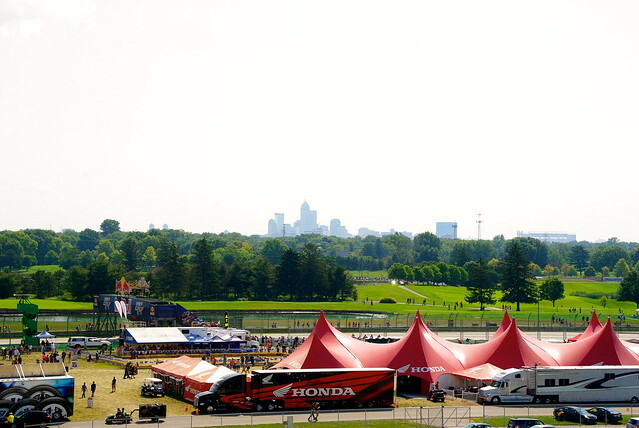 So, stay with me as we go through some pretty awesome photos and what I learned from a day at the Speedway for the Red Bull Indianapolis GP. 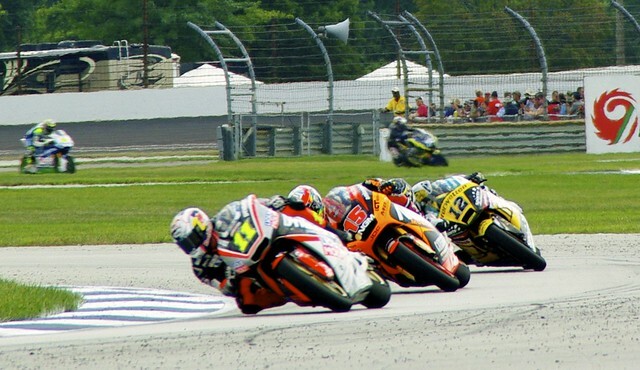 You don’t have to be interested in motorcycles and the Grand Prix to appreciate the precision that goes into each race. 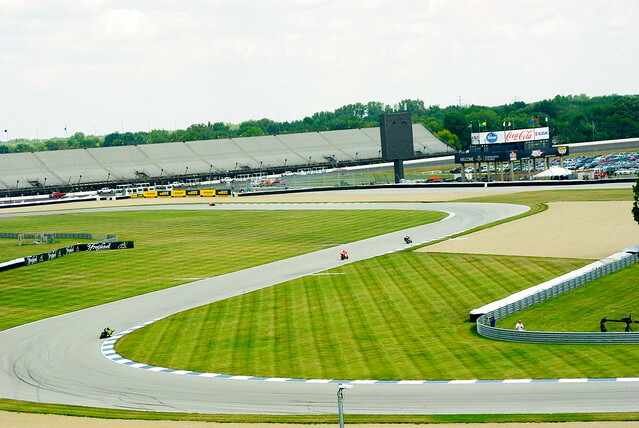 The preparation of the course and the exact angle that you need to hit to lean into a turn going 120 miles per hour without sending your bike flying out from under you. 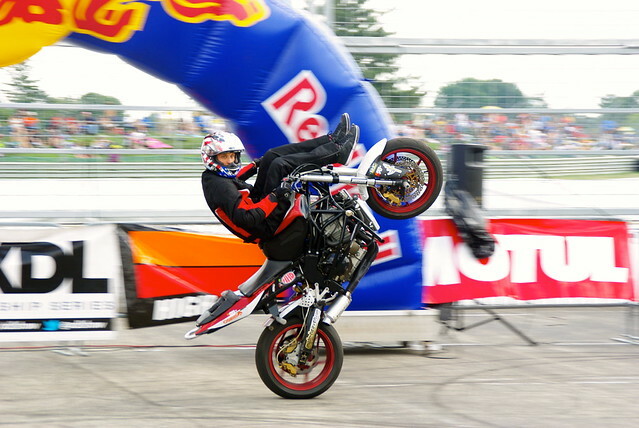 Reaching max speeds of 209 mph, you are literally flying on two wheels. I can’t even begin to speak to the engineering that goes into the details of the race. The uniforms are designed to be protective, but they must also be aerodynamic, breathable, comfortable, durable, flexible, light and water-resistant. The leathers and the helmet must work together to balance safety and performance. The leathers, made from kangaroo, have built-in spinal column protection units and they mainly use carbon, kevlar and titanium combinations to safeguard the riders without weighing them down. The knee sliders are built in since some of the riders rely on the feel of the ground to gauge their angle as they maneuver around turns. These typically need to be replaced often since they are regularly making contact with the asphalt. 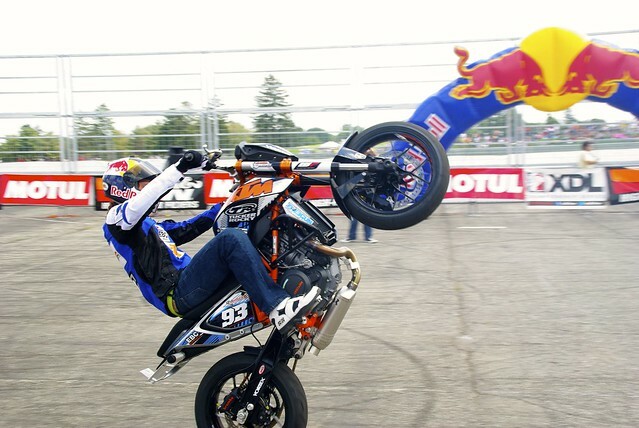 The question I continually ask myself is: how do you practice to get good at this sport? Whether it be surfing on your bike or taking a turn in a race while your knee skids along the pavement, the odds are you have to fail before you succeed. You lean into the turn by 1 degree too much, or lose your concentration for less than a second, you could have dangerous consequences. I have to believe it all goes back to guts. Their adventurous spirit and grit keeps them climbing back on their bike determined to conquer each turn. 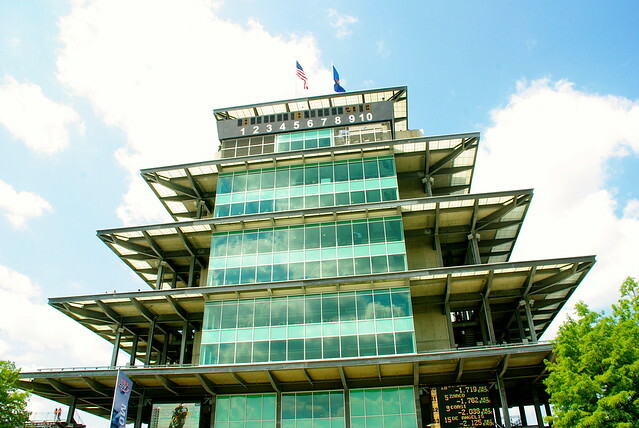 Next time you are watching the Indianapolis 500, or NASCAR and are impressed by the speed of the cars – imagine taking away all the metal protecting the driver from a deathly crash, picture the drivers so close together that it’s not just their tires bumping, but their actual bodies colliding. 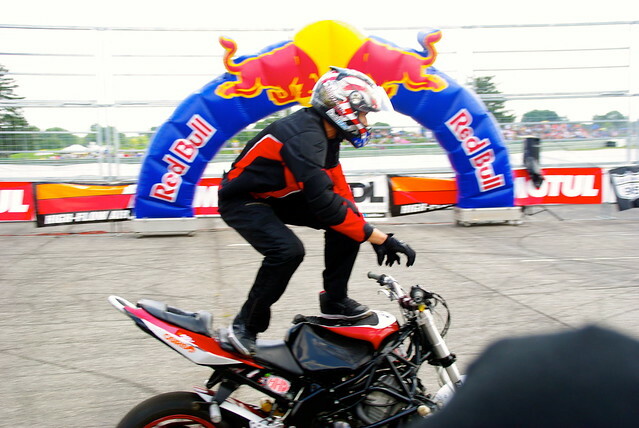 Moto GP takes speed and insanity to a new level. Have you been to a race before? 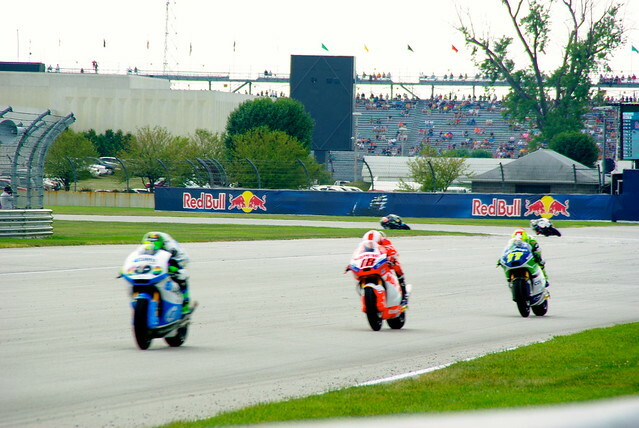 What is it about Moto GP that makes this race one of the most fun to watch? 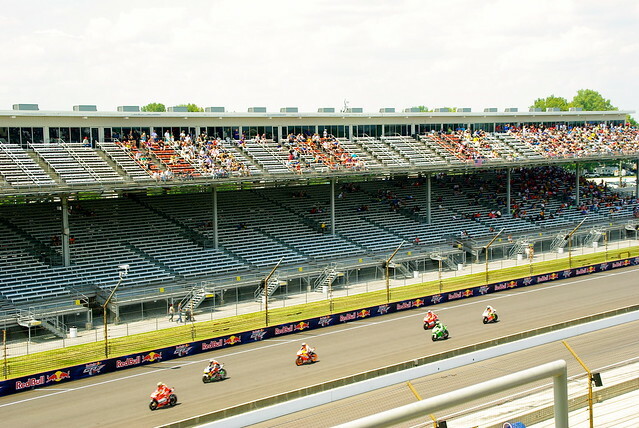 Thanks to Visit Indy for hosting us at the Indianapolis Motor Speedway! 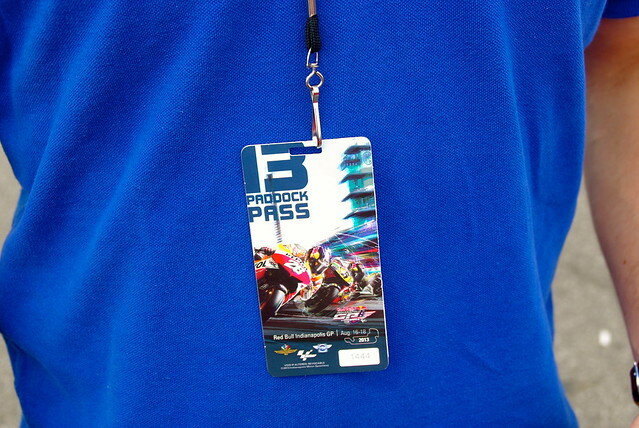 I just spent a great weekend in Indy but shockingly didn’t make it to the Speedway. We had so many other great activities planned it just didn’t happen. Hope to make it there on our next visit. Looks like a fun experience. Your photos are great! I am usually not a big fan of racing. 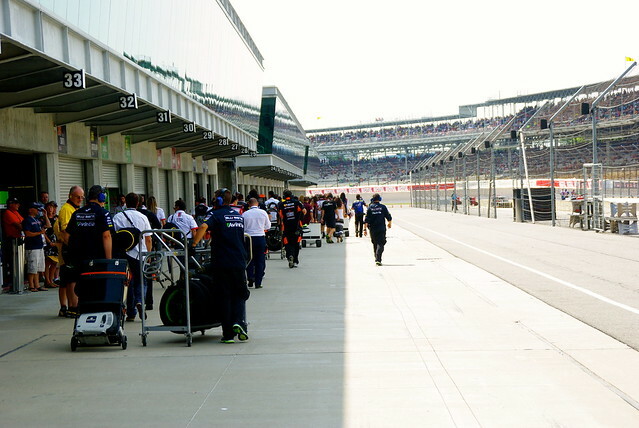 In Europe Formula 1 is really popular, but it is going on for too long for my liking. 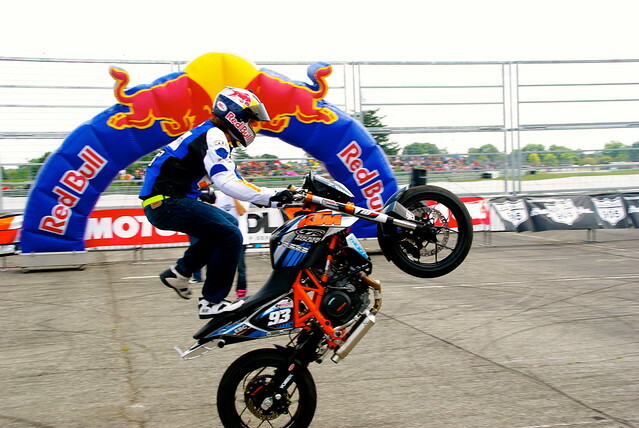 This looks a little more entertaining though with all of the acrobatics going on. I’ve never gone to a race. I don’t even watch them on tv. I don’t want to see the crashes that might occur.